What’s good about the Lewis Leathers Motorway boots No 191? Lewis Leathers and Aviakit are logos I have grown up with as my father was a despatch rider for ITN (Independent Television News) from 1961, and each year he would be issued with new riding kit from Lewis Leathers. Back then they were based in Great Portland Street and the place was an Aladdin’s cave for motorcyclists - a one-stop-shop for everything a despatch rider needed. In fact my dad still has a pair of original Lewis Leathers jeans in the box (I wonder if they might fit me?). Having had such a long connection with their products through the odd hand-me-down pair of boots or a jacket from my dad, I was very pleased to finally get my very own brand new pair of Lewis Leathers Motorway boots. These boots are a thing of beauty, so much so they only come out when the sun is shining because I can’t bring myself to abuse them in any way. They’re made from the very best bull-hide and polished to an almost mirror finish, then stamped with the illustrious golden Lewis Leathers logo. 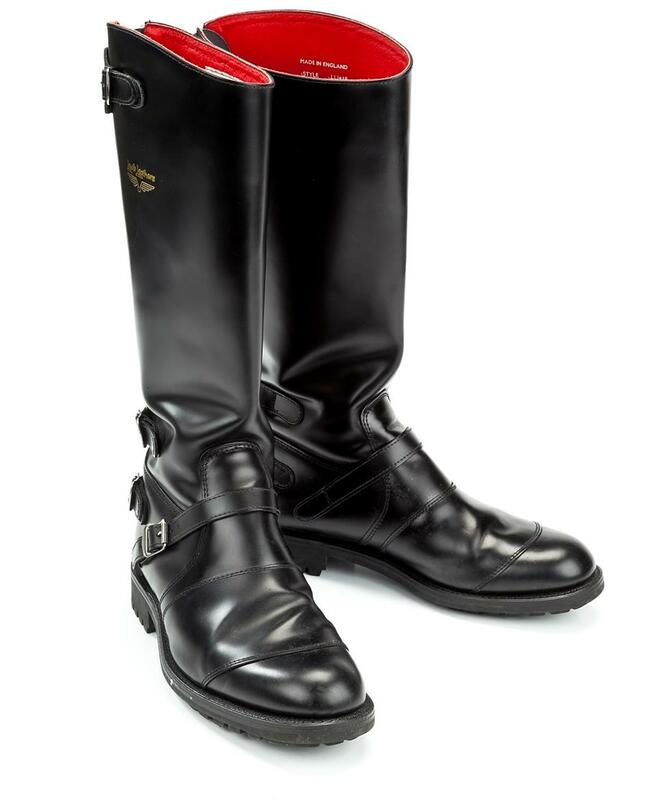 A full-length Swiss Riri zip secures the back of the boot, then three buckled straps are for fine adjustment, with a fourth inside the boot to secure your trousers around the top of the calf, well you don’t want to arrive at your destination with baggy knees, do you? They have what can only be described as a very stout Commando style sole, designed to be re-soled if you ever manage to wear them out. I can honestly say they are my favourite pair of boots! Don’t expect to walk long distances straight away. The boots need to get to know your feet, and your feet need to get to know the boots! I suffered a couple of blisters when I walked two miles in them shortly after I got them, but have had no problems now they are broken in.